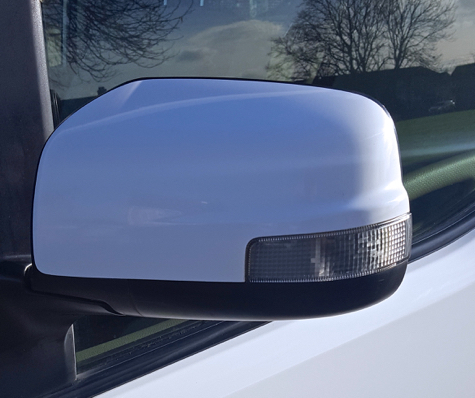 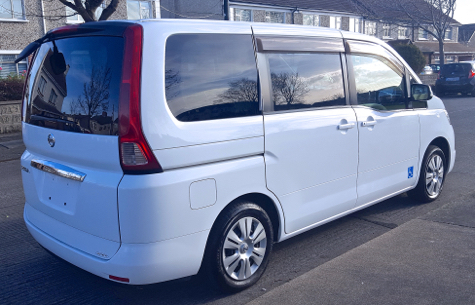 Arriving Soon - Call Us For More Info - You Won't Be Disappointed! 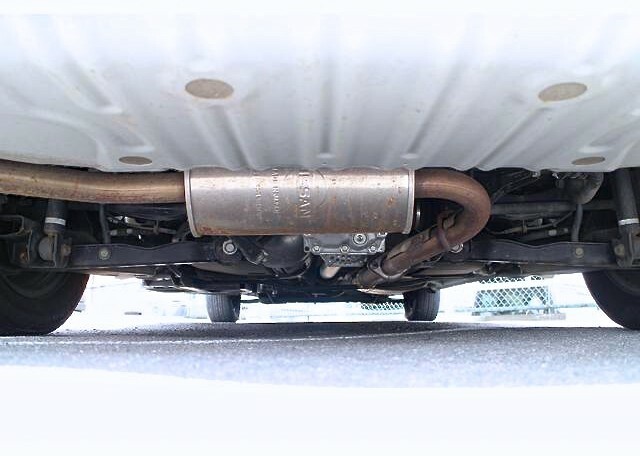 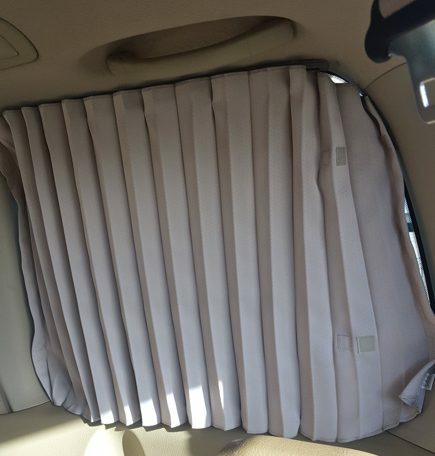 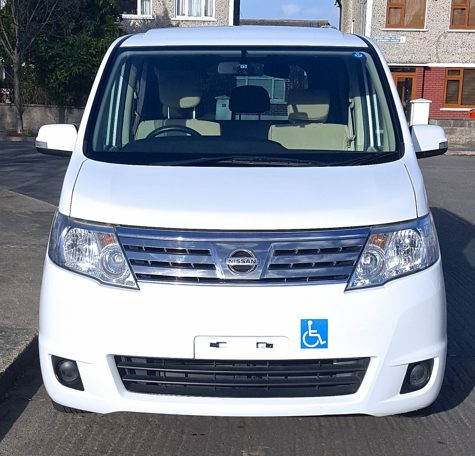 This 2010 2.0 litre Nissan Serena is in mint condition and has a seating capacity for 6 people. 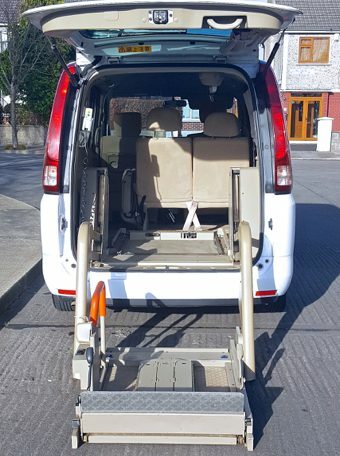 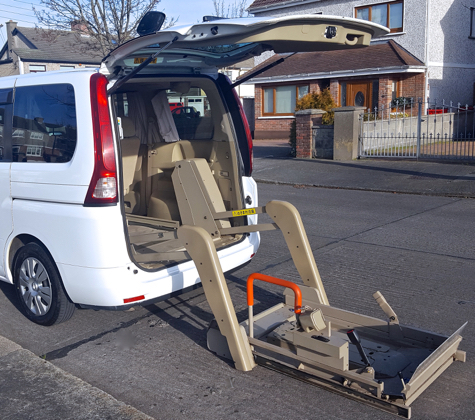 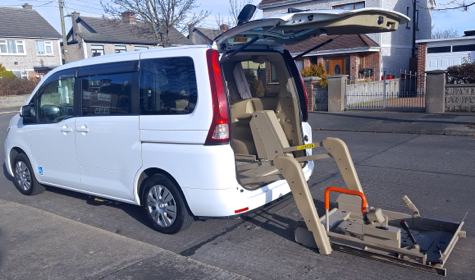 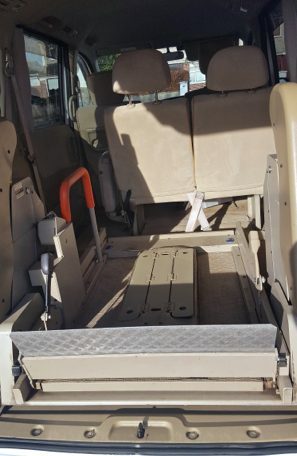 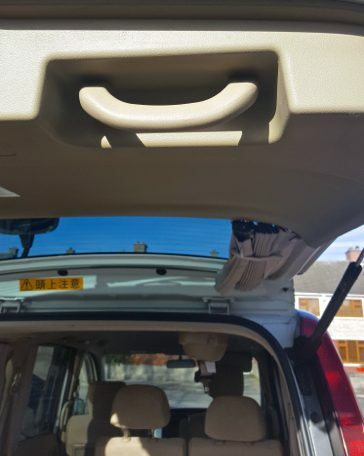 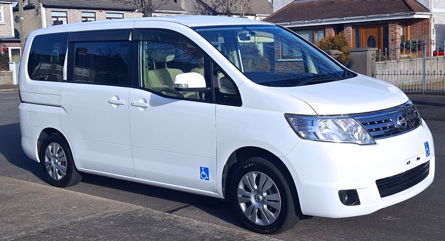 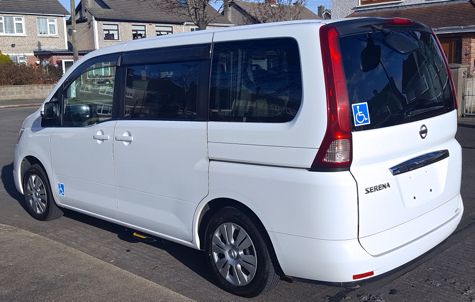 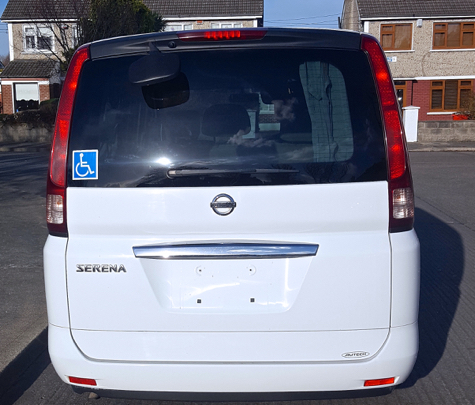 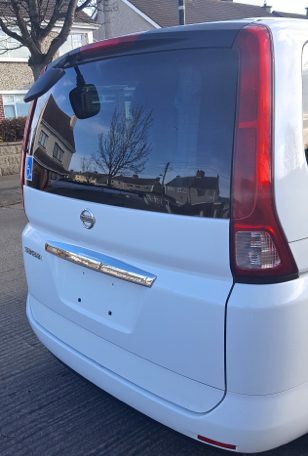 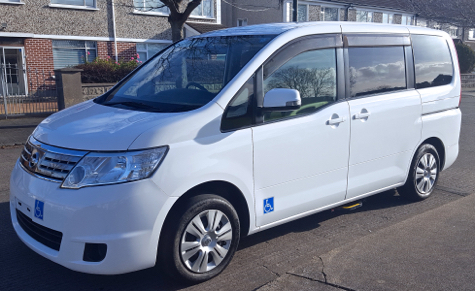 This Nissan minivan has been factory modified by Nissan themselves and the rear lift designed to allow a wheelchair easy and stress free entry to the vehicle. 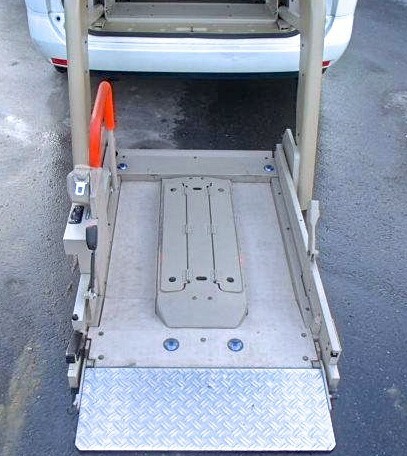 The wheelchair lift is remote control operated and is very straight to use and operate. 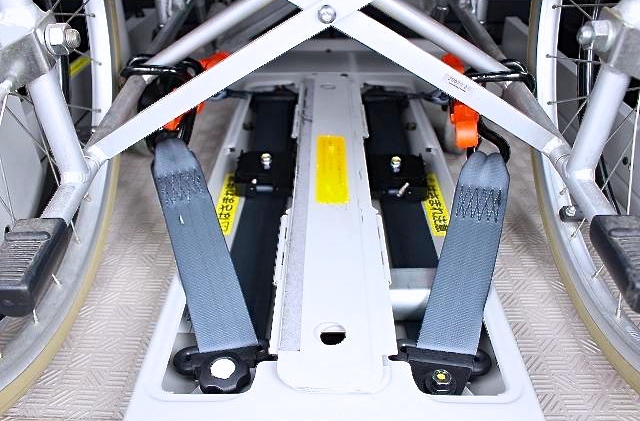 There are 6 anchor points on the lift, two of which are electrically operated. 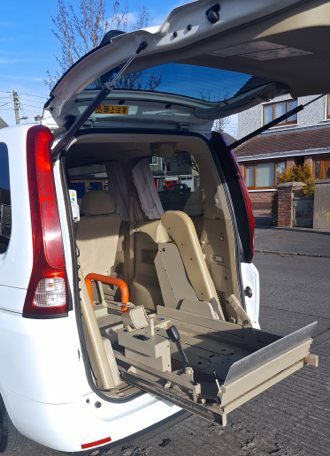 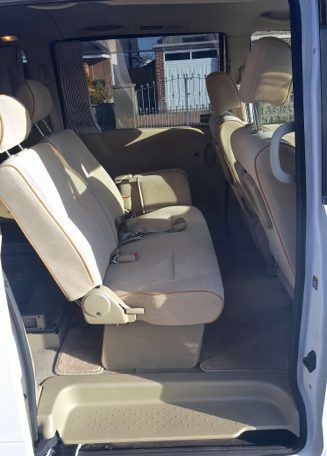 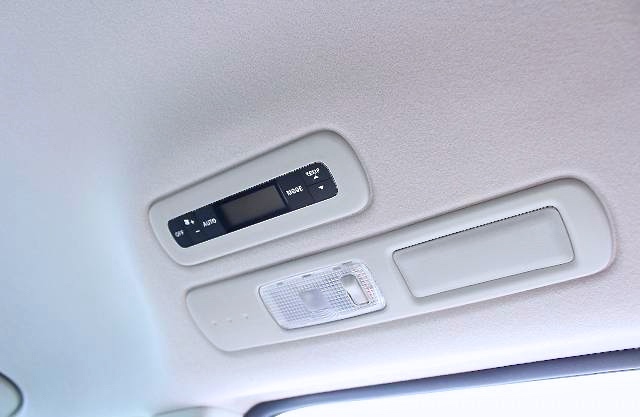 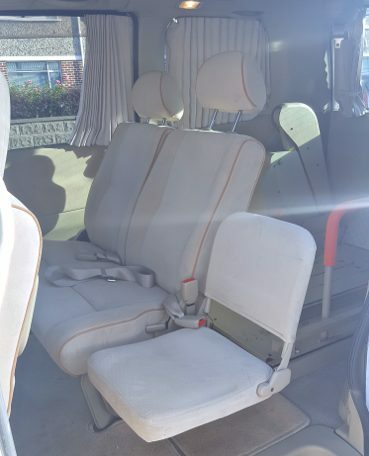 The interior of this wheelchair accessible car is also in stunning condition, the seat cloth is a luxurious brushed cream velour, and is also in perfect mechanical order. 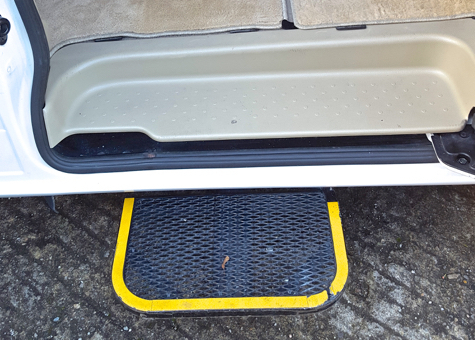 The main feature of this great wheelchair accessible car and minivan is the real tailgate lift. The lift as a a load capacity of 400 lbs, so it is built to manage an adult wheelchair passenger in quite a heavy chair. 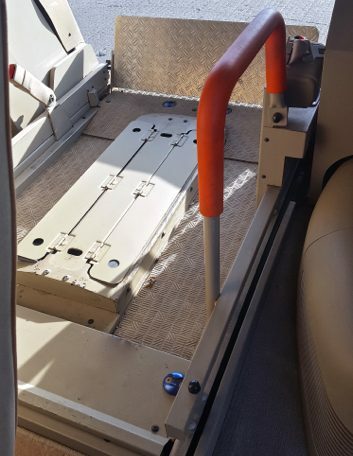 That is to say that the factory installed lift will easily lift an adult or small child with no problems what so ever. 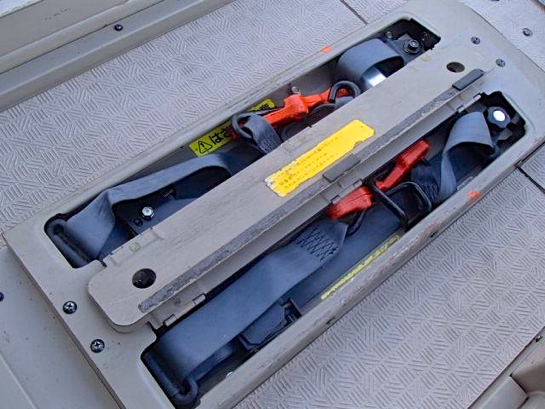 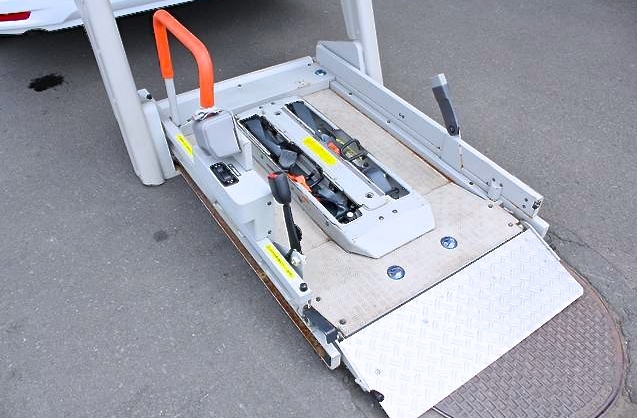 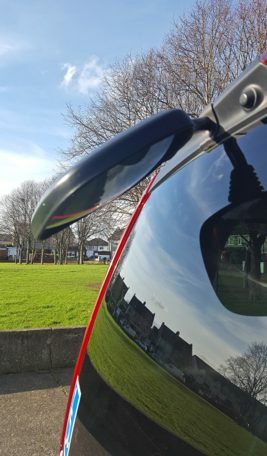 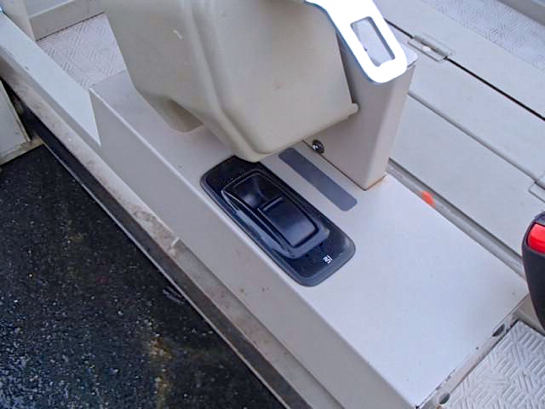 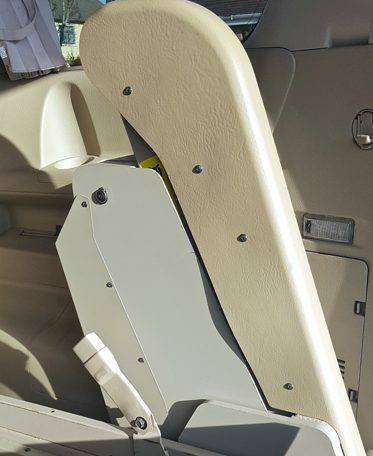 The lift also comes with pre-installed electric belt tensioners that will secure the wheelchair not only as the lift is raised or lowered, but also during the journey too. 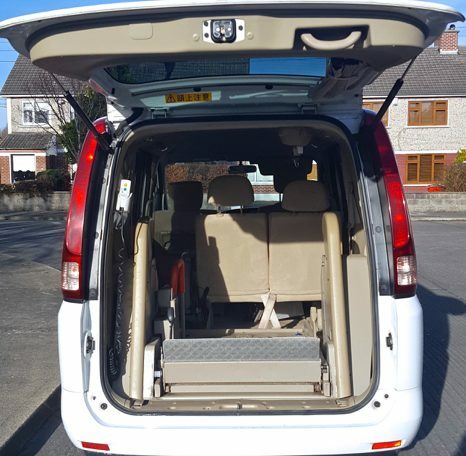 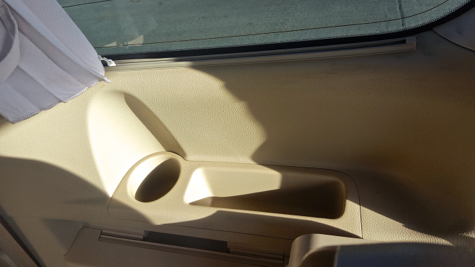 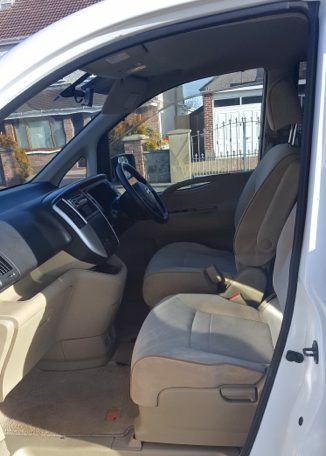 The interior of the car is extremely well finished and has a 6 seating capacity including a wheelchair passenger. 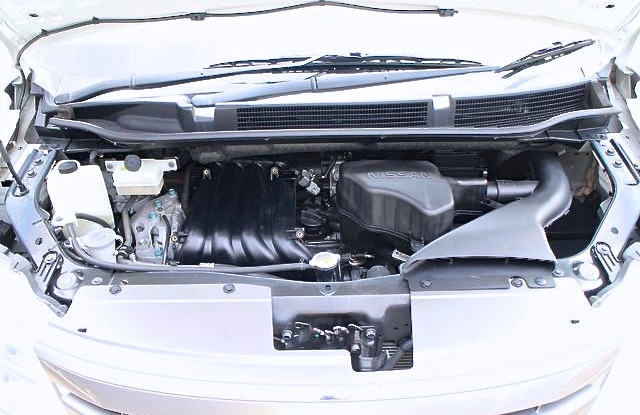 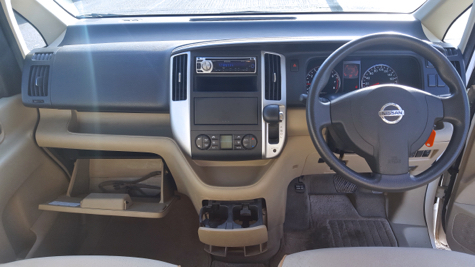 The engine is 2 litre automatic with a 5 speed gearbox, which makes for a smooth yet powerful traveling experience. 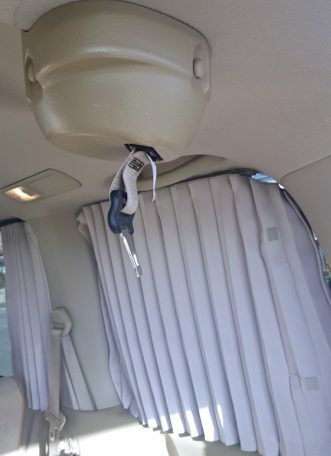 Also another wonderful feature of this van is that all of the modifications are operated by hardwired handheld remote controls.